We are immediately drawn to the outdoors once the weather begins to show some signs of spring. That’s the way it goes for many people. The parks and beer gardens are full of people soaking up vitamin D. It’s the perfect time to make our balconies and wheels ready for spring. If you own a board as well as a bike, you are already ahead of the game. The question is: Where to put them when we are not using them? If you don’t have the heart to park your bike on the street or don’t have a place like a garage or a cellar, we have a tip for you; just bring your beloved possession home with you. There are even special types of furniture that have been designed to store your rides such as shelves, couch, and stools. The best way to show off your favorite piece is to be present at the entrance or as a decoration on the wall. There are no limits to these creative ideas whether horizontal, vertical, reversed, free-standing, or colored. 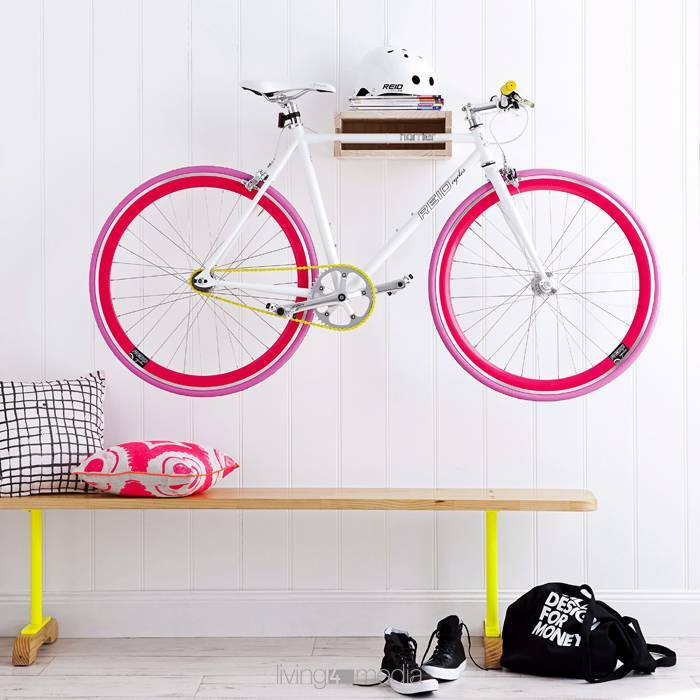 We’ll show you ways to integrate your bike and board stylishly into your own home.